Modern life can prove challenging for achieving and maintaining a state of homeostasis [balance and equilibrium]. One's daily choices, hectic lifestyles and eating habits may contribute to a poor health and mental or emotional state. We are holistic beings, not single parts. One aspect of our being affects the other. The word "Holistic" means making whole. Practitioners of holistic medicine base their practice on the philosophy of “holism”. They strive to attain a condition of optimum health and believe that the cause of ill health begins with our environment and the fundamental nutritional building blocks of which we are comprised, and upon which our every function depends. Borough resident and business owner, Joanne [Skordensky] Cipressi truly exudes a character of a selfless dedicated humanitarian. She always admired the late Jacqueline Lee Bouvier Kennedy Onassis [1929 –1994] because she “exuded calm”. Joanne is a transplant, having grown up in the Poconos area, a graduate of Bishop Hafey H.S. in Hazleton and the Tunkhannock Area High School ’93. She attended Luzerne County Community College for international business and originally became certified in the cutting edge methodology of NLP for self-help. Her quest became holistic studies, encompassing life changes and challenges from individual issues to life coaching. “I wanted to help people discover their self worth. That is the crux of every issue. Joanne’s “Tigerlily” focus is to help bring balance into her client’s life by showing them how to pay conscious attention to their mind, body, emotions, spirit, relationships, vocation and environment so that their life becomes more filled with meaning and joy. Her unique, dynamic and innovative techniques through time tempered knowledge and experience focus on fast, effective results. Joanne had twin brothers, Robert and the late James, and Matthew who currently resides in Maryland. Her sister, Robin lives in Myrtle Beach, S.C. Her late brother Jimmy was nicknamed “Tigger” and she will always remember the elaborate arrangements of tiger lilies at his memorial. The Tiger Lily flower according to its traditional meaning is Wealth and Pride. The name is perfect for her Holistic Wellness business. Her two cherished daughters are Lilly  and Naomi . Joanne moved into the Borough in 1997 and opened her Tigerlily Holistic Wellness last February. Her center provides an environment that upholds every aspect of a person's health, including the physical, mental, emotional, and spiritual parts of ourselves through workshops, classes, retreats and the variety of wellness services offered. Her goal is also to carry some gently used, vintage and new items, including incense and herbs for sale. Selections will also comprise healthy snacks like gourmet trail mixes, granolas, and teas. While rock climbing in a Doylestown gym, she befriended Borough resident Michael Stephen Gerenda, BHS ‘87/U of Nevada, the founder of the outdoor adventure club, Dharma Bums. Mike also founded “7 Summits Healthy Snacks & Teas”, and he makes his own natural granola, “creating the apex of good taste”. Come in and focus on positive thoughts, relaxing the mind, refreshing the body and renewing the spirit. Joanne becomes your partner on the path toward tranquility, enlightenment and self discovery. Learn how inherently strong and wise you are, so that eventually you learn to live from your own heart’s center. Rejuvenate your mind, body, and soul, your future is up to you! Joanne has been trained/certified in Humanistic Neuro-Linguistic Psychology/ Programming, Age Regression and Time-Line Therapy, Face Reading, Advance Hypnosis and Life Coaching. She is also a Reiki Master/Teacher Trainer. Holistic wellness encompasses the integration and interdependence of Body, Mind and Spirit. You cannot tinker with one without having an effect on the other. 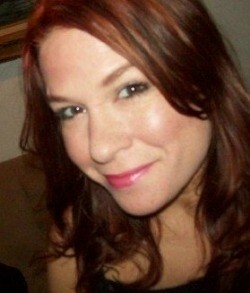 Joanne is currently working on her Masters in Holistic Nutrition. 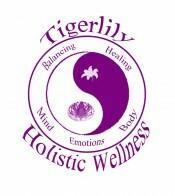 Tigerlily Holistic Wellness offers customized and personalized services in the privacy of her Radcliffe Street location, your home, your office or over Skype, Phone, IM or email. Joanne sincerely loves historic Bristol on the Delaware. Her philanthropic endeavors prove her commitment to the community. She started the “Bristol United” on facebook, along with Christopher Lee Chapman, BHS class of ’87, to help foster deeper collaborations and she created “Community Inspirations”, a neighborhood newsletter two years ago. She lives her beliefs, building relationships and partnerships to facilitate positive change. This winter has been a rough one already so she is running a winter coat, hat and glove drive for Borough residents and for a local woman’s homeless shelter. You may drop off any new or used winter coats, hats or gloves at Tigerlily. Please leave your donations on the inside of the front door underneath the brochure holder. She appreciates all who are helping her to assist others. This winter coat drive will run now until February 2nd. If you are in need of a warm winter jacket, hats or gloves or know another person or family that is, please call 267.266.6480. “Another Time Antiques” and “Fine Art Jewelry” on Mill Street always catches her eye. “[Jeweler] Leonard Wilson is one of the nicest guys I have ever met”. She does secretarial work for the W.R.Esposito Real Estate firm on Radcliffe Street and professes to be a voracious reader. Her all time favorite books include “Little Women” and anything penned by the English author [Helen] Beatrix Potter [1866 – 1943], best known for her children’s stories that have been retold in various formats including a ballet, films, and in animation. Joanne shares her birthday with American actress Pamela Sue Martin who portrayed Nancy Drew, the mythic hero character of enduring appeal, arguably with an expression of wish fulfillment. Joanne’s days too, are filled with optimism and courage. She is currently working on movie scripts and in the future, you’ll find that she is a real “ghost” writer but for now, she’s keeping the title a secret. You will find that historic Bristol on the Delaware is such a friendly small town, [bigger is not necessarily better]; filled with the most remarkable people, boasting a distinct charm all its own! Matthew E. Skordensky/Thiemann, 28, of West Main St., Nanticoke, passed away Friday, July 29, 2016, at his residence. Born in Kingston on November 6, 1987, Matt was the son of Robert and Deborah Petukonis Thiemann. Matt was a graduate of John S. Fine High School, Nanticoke, and continued his education at Horry College, Conway, South Carolina, as well as taking online college courses to earn his degree. Matt was currently employed by the Wyoming Valley Country Club as a waiter. Matt was an avid reader whom also enjoyed working on his sketches and drawings and was well-known for his sense of humor. He was preceded in death by a brother, James Skordensky. Surviving, in addition to his parents, are sisters, Joanne Cipressi, Bristol; Robin Murphy, Austin, Texas; and brother, Robert Skordensky Jr., Nanticoke. Funeral services will be held Tuesday at 10 a.m. from the Earl W. Lohman Funeral Home Inc., 14 W. Green St., Nanticoke. Interment will be in the Maple Hill Cemetery, Hanover Township. Friend may call Monday from 2 to 4 p.m. and 7 to 9 p.m. at the funeral home..